Getting older brings with it a plethora of experiences, decisions and responsibilities. Chief among these duties is the protection - both physical and financial - of your family. For those who have a written financial plan in place, the vast majority of them say estate planning is a component of providing for their family's long-term welfare. Here's the problem: Many of these same individuals are taking a "set-it-and-forget-it" approach to estate planning, failing to update their plans as life develops. Are you one of them? Nearly 40 percent of respondents in a Gallup poll have a written financial plan. Of this total, close to two-thirds - 63 percent - say it includes estate planning. "Estate planning isn't a one and done activity, but an ongoing process." Estate planning isn't so much as a one and done activity but an ongoing process that establishes how your property will be divided after death. A living will and trust helps determine who gets what and how much. Those who engage in estate planning understand what estate plans do and how they work, but according to Retirement Watch Editor and Forbes contributor Bob Carlson, neglecting to update these plans is a classic oversight. "If you have an estate plan, your work isn't done," Carlson warned. "Estate plans need to be reviewed and revised from time to time." The good news is that for the most part, those with a financial plan do go over them. Indeed, more than 85 percent of respondents in the Gallup poll review them at least once a year. But because financial plans consist of many different components - e.g. tax information, debt management, insurance documents, household budget, retirement income statements, etc. - these same people may not be reviewing their estate planning documents in particular. Many Americans picked up the stakes in 2018. The most inbound state of them all was Vermont, with nearly 73 percent of moves there being toward the Green Mountain State as opposed to leaving, according to a recent report from United Van Lines. The West was particularly popular, as Oregon, Idaho, Nevada and Arizona were also predominantly inbound states last year. Regardless of where you moved to, laws may exist in your new state that didn't - or were different - than the one you came from, warned Carlson. These laws refer to estate plans in particular, such as powers of attorney (in terms of who's allowed to have them), living will establishment and how many witnesses are required for said will to be deemed legally binding. Talk to your wealth planning advisor about these factors if you've moved or are planning to in 2019. Life is composed of a series of stages, with retirement being the capstone. Nearly three-quarters of Americans say they intend to stay in the labor force beyond the traditional retirement age - which for most is the mid-60s - according to a 2017 Gallup poll, with 1 in 4 looking to stop working altogether. Regardless of when you plan on retiring - if at all - the golden years brings with it risks that loom larger than when you're younger. Chief among them are health related. According to the Center for Retirement Research at Boston College, medical bills, widowhood and financial errors caused by cognitive impairment are among the main financial complications that people run the risk of encountering as they age. What's more, because people are living longer and getting more experience, they may have different viewpoints about how they want their property distributed today than they did prior to retirement. If you've retired or are planning to, run through your estate plan to make sure that it checks out with what you'd initially intended to have happen. 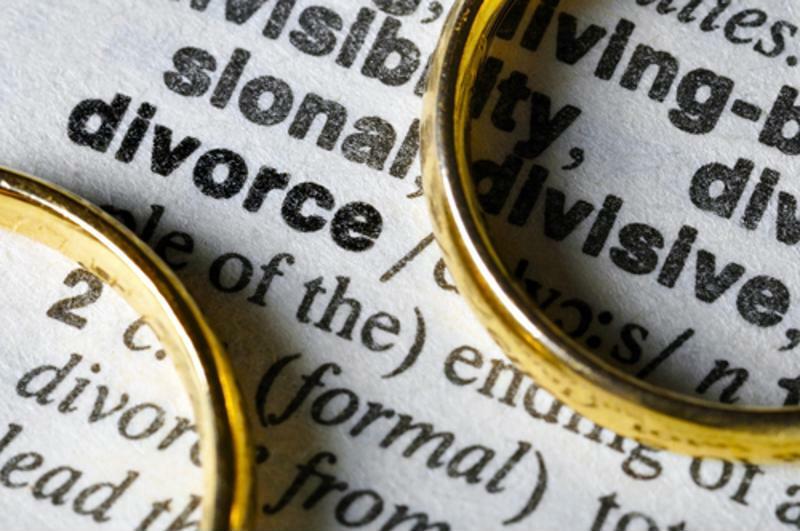 Divorce may make certain elements of an estate plan no longer applicable. A lot can happen within a year. That's certainly the case in the news cycle but it also applies to the people that matter the most - your family. The youth of yesterday - millennials - are today's parents, who may have a new addition to the family. Alternatively, you may have encountered the loss of a loved one due to age, illness or untimely death. Carlson says estate plans often require updating when family dynamics change. "Of course, you might have divorced, remarried or become widowed since the will was written," Carlson explained. "You also might be more (or less) charitably inclined than you were or want to change the charities included in your will." Family events - happy or sad - may be such that they incentivize others, like your children, to establish their own estate plans, noted Forbes contributor Megan Gorman. The economy is booming and many people are taking advantage by launching their very own businesses. Based on the most recent figures available from the Small Business Administration, there are 30 million small businesses in the U.S., accounting for 99.9 percent of all companies in the country as a whole. Businesses are assets, and as such, you'll need to determine how you'd like your company to operate after death. This is something that an estate plan should detail. The same is true if you've recently sold the business. "Either change means a reassessment of the plan is in order," Carlson wrote in Forbes. Your children or grandchildren have turned 18. The value of your home, business or other property type has risen or fallen. New state laws are in effect. You haven't reviewed your estate plan in three years or more. You've turned 70.5 (the age in which 401(k) plans often require taking money out from them). Life insurance is another component to estate planning. If you need a high-value life insurance policy but don't have the available resources on hand to fund it, Leveraged Planning Solutions may be the answer. Speak to a Global Financial Distributors advisor to learn more about how Leveraged Planning can improve the function of your estate plan. Read more about Is it time to update your estate plan? The inheritors of wealth frequently don't acknowledge or realize the key role advisors often play in helping their parents grow their savings. Will retirees be in better shape with Social Security checks rising? There's some question as to whether the increase will make a notable difference in individuals' budget considerations. Read more about Will retirees be in better shape with Social Security checks rising?